Yeah...we all know how this is going. 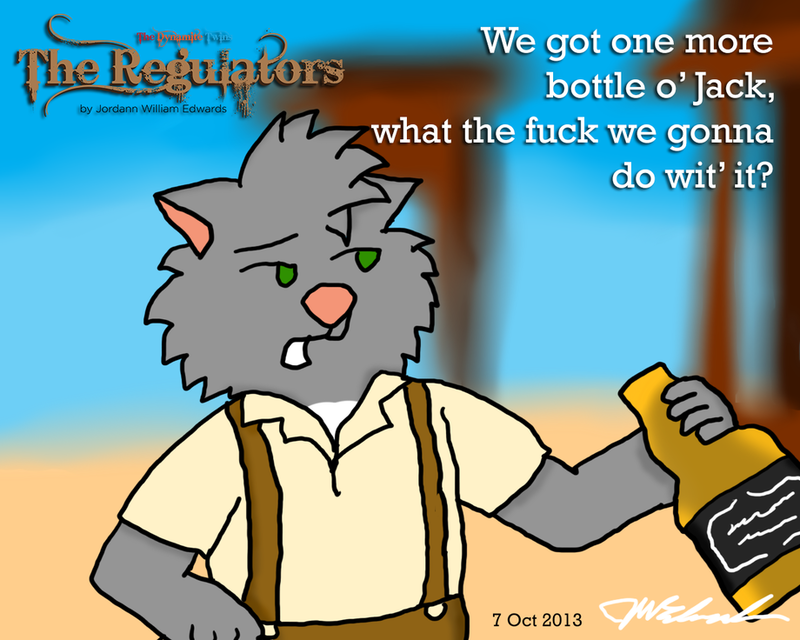 ;) So, this is a tie-in to "The Regulators". Okay, I've decided to put a hold on that as well, in favour of "Brotherhood Legacy", which I need to continue. And before you ask, yes, this is inspired by Hollywood Undead, specifically their song, "One More Bottle". And it, and some other songs, has a Western feel to it, ya know?